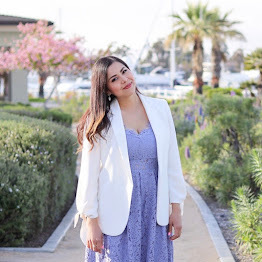 I am so excited share with you the highlights of the Lucky Magazine Fashion and Beauty Blogger Conference (a.k.a. LuckyFABB) that I attended exactly one week ago in New York City. 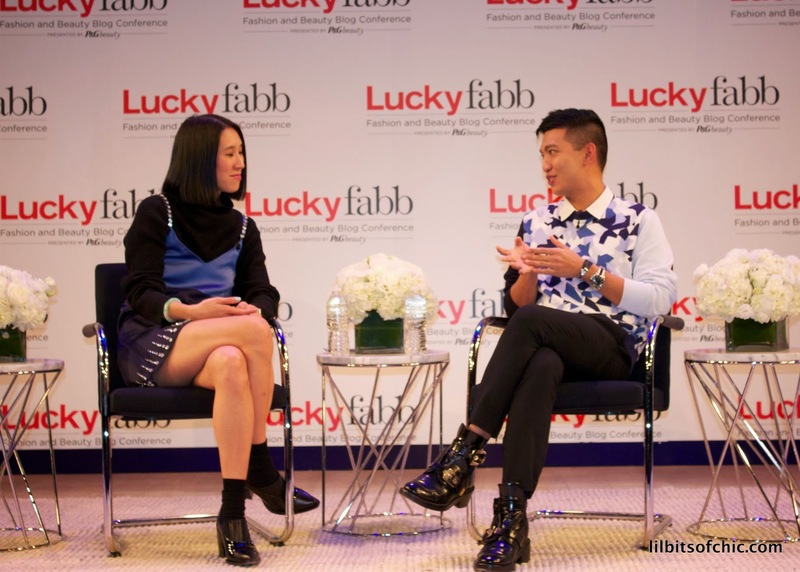 Behind the Curtain with Eva Chen: The conference started with a candid discussion with Eva Chen the semi-new Editor in Chief of Lucky Magazine. The way she spoke to us was very personable and you can tell she is a very genuine and fun person. I adore her Marc Jacobs Dress! A Style Conversation with Eva Mendes: Loved how down-to-earth and funny Eva Mendes is! I loved that she refrenced her Latina heritage a lot throughout the conversation and when she made a reference to Maria Felix a "woo" came out of me. Eva discussed the process of creating a line with NY&Co. (which is in stores now) where she brought in her favorite pieces from her closet as inspiration for the line. She also explained that it was important to her that the pieces were affordable for her friends and the everyday girl. A conversation with Bryanboy: I like that Bryanboy doesn't sugarcoat anything. He discussed with us how the blogging atmosphere has evolved and hilarious things he did back in the day to get some traffic. It was a good perspective on how things were different when he started out since the notion of fashion bloggers were so new and opportunities were not as easy to come by. A Style Conversation with Kate Bosworth: Can we say flawless? I was sitting in 3rd row and I think the first 10 minutes were spent in awe of her beauty and then how soft spoken she is. Kate talked about her new collection at Top Shop that launched that day (where that top and skirt are from) and how odd it is to be in the public eye at times. Stay tuned for Day 2 and a Video! This looks like so much fun & LuckyFabb seems like such a wonderful learning environment. I am so glad you enjoyed it. That looked awesome! I can't wait to start attending conferences. WOW! Looks like a great event! p.s. I love Eva Mendes and Kate Bosworth! Thank you for stopping by! Eva Mendes is such a gorgeous human being. Very nice post! how fun i love eva!! !